We’re joined as one in Christ, Catholic at our core, formed in faith. Our students are active in the Catholic liturgy: reading, serving, singing. Classes, retreats, field trips. Father, Son, Holy Spirit—present in heart, present in mind, present in our learning. Students and faculty begin each day with prayer. 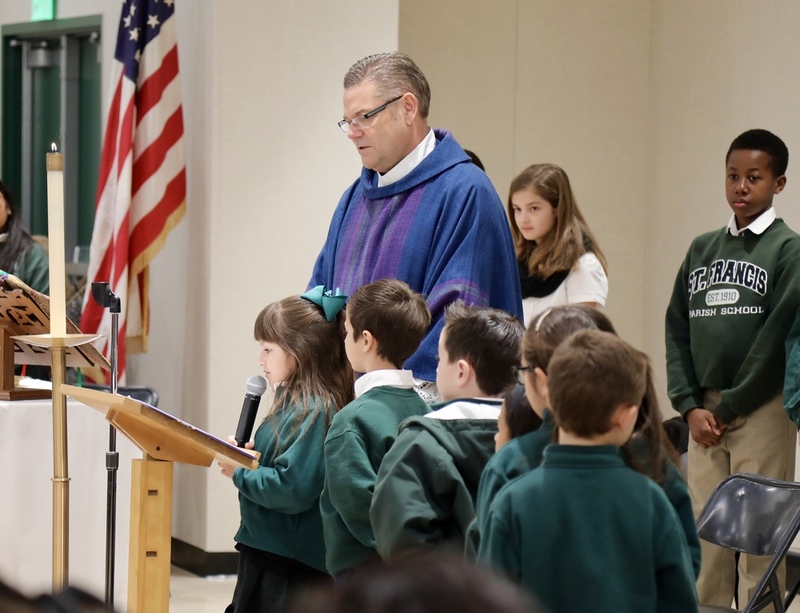 School-wide mass led by students every Wednesday. Christian families program that gathers students in all grades to share Gospel lessons and activites. Students participate in the sacraments, stations of the cross, confession, adoration, and the rosary throughout the liturgical seasons. Faith-based education curriculum focused on faith formation. Faith-filled faculty dedicated to the mission of Catholic Education.